PVT Island Retreat. Write, Kayak, fish, paint, photograph, relax, it's all here! Private Island home, Eagle Island is a beautiful two story getaway located on Musselboro and Mosquito Creeks in the heart of the ACE basin. Peaceful solitude come Write you novel, Paint your masterpiece! Birdwatchers come watch the Tundra swans fly right over your deck as they settle down for the night at Bear Island Wildlife Sanctuary 3 miles away. It is great for fishing, and crabbing from its own private deep water dock, bring your boat, no need to put it on the trailer every night! Located right off the inter-coastal waterway. It is a kayaking paradise, also great for biking, reading, painting and photographing natures treasures and unimaginable views. Relax on the surround deck or on the dock and watch the dolphin swim by! Make memories with family and friends. It is equipped with modern conveniences such as internet (Free Wifi) and satellite TV. The two story decks afford panoramic views of the beauty and various wild life of the unspoiled wild mashes and rivers. 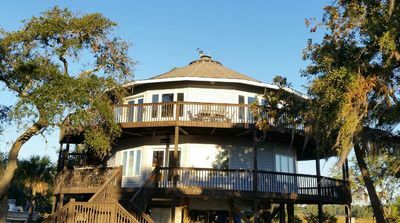 "Round" house with all widows offers views from anywhere of beautiful marshes and rivers. Upstairs: Master suite with king bed, TV, bath with large jacuzzi tub. Full Kitchen, half bath , computer area,, living area large screen TV and panoramic views of outdoors with wrap around 10 foot deck. Downstairs: 2 bedrooms queen beds full baths jacuzzi tubs; full living area with wet bar and panoramic views of outdoors, washer/dryer, large screen TV. 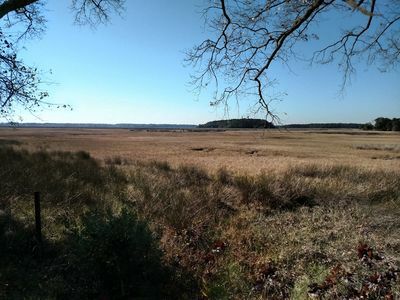 Centrally located between Beaufort, Edisto, and Charleston. This property has it all, it is a hidden jewel! Book Soon For New Lower Rates! 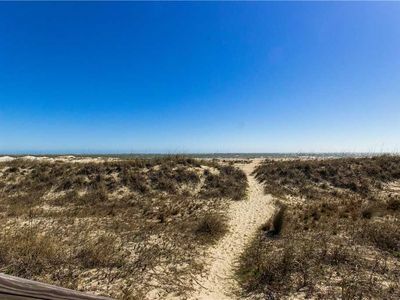 Only Steps from the Community Pool and the Beach!